Calscan’s low power field proven solar electrical controls can replace all the fuel gas powered pneumatic systems on a separator, eliminating the need to vent methane. 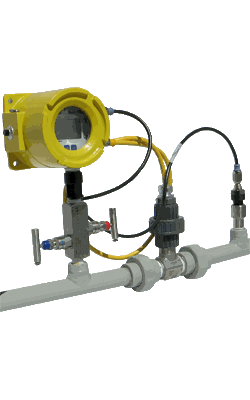 The Hawk 9000 Vent Gas Meter is designed to measure and digitally log low flow greenhouse vent gas, such as methane, with high accuracy and audit trails. 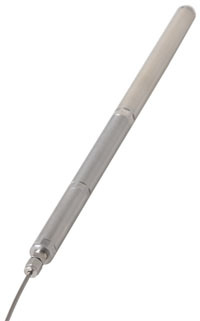 It's ideal for Surface Casing Vent measurement. 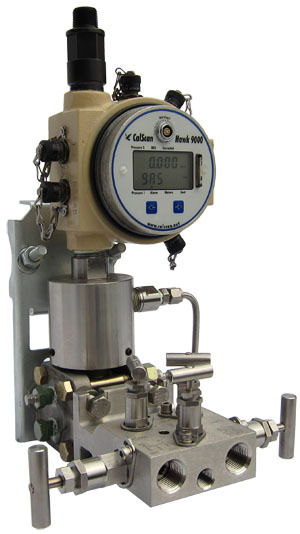 The Hawk 9000 surface gauge can be configured to log well build ups, hydrostatic tests, and liquid and gas flows. The battery powered Hawk 9500 configured with a high performance gas turbine can measure and log the low flow gas on compressors and vapor recovery units. When you need to monitor rapidly changing data, the Hawk can monitor all if its sensors at the same time with a one second sample rate. 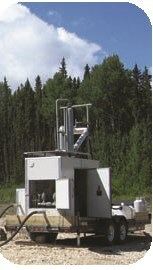 The Bear Portable Cyclone Test Separator uses cyclone technology to improve the separation performance and reduce the physical size compared with standard separators. The Bear Cyclone Separator improves the separation, drastically reducing atmospheric venting (as well as Carbon Tax obligations). The Bear Electric Control System replaces pneumatic controls: Solving fuel gas problems, eliminating venting, and reducing maintenance. Calscan’s fleet of reliable downhole pressure temperature recorders can be used for a variety of testing situations for pressures up to 30000 psi and temperatures to 200°C. 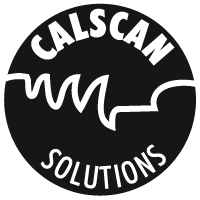 Calscan make a variety of downhole pressure monitoring systems that can be read from surface for permanent and drop spool applications. Shell Introduces new tech to minimize methane leakage JWN - 2018. The Methane Emissions Leadership Alliance has done a 2017 Case Study on Calscan. Calscan's BA-15L is a low power 24V DC powered linear actuator perfect to retrofit your existing D and E body valves to electric controls. Download the RMA Request Form and email it to rma@calscan.net. NEW: Receive exclusive Calscan Updates (Software, Products, and Features).